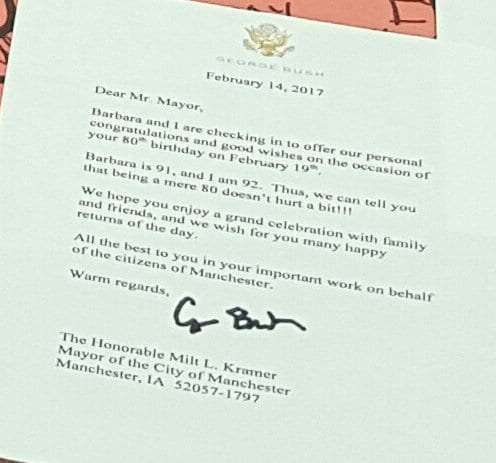 Manchester Mayor Milt Kramer was showered with cards a few weeks ago as he celebrated a milestone birthday. “Mayor Milt”, as he is affectionately known around the community, turned 80 years old on February 19th, and his two daughters, Jill and Kerry, thought it would be fun to have a card shower for him. 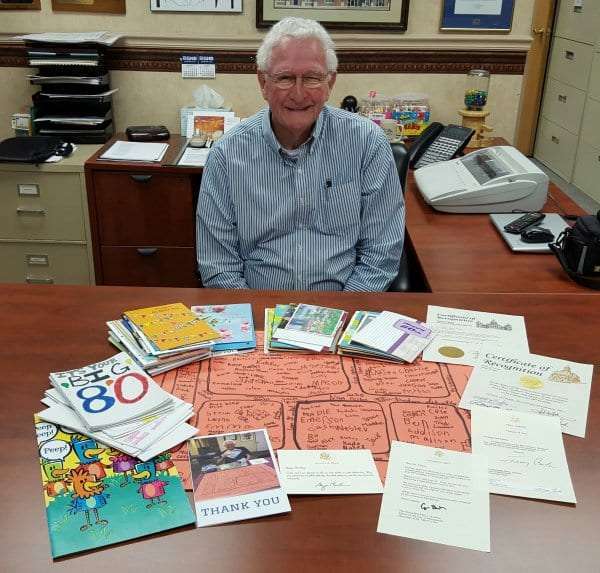 They secretly got the word out, and a couple weeks later, the longtime mayor was surprised to see over two hundred cards arrive in the mail at City Hall – all wishing him a “Happy Birthday”. Mayor Milt was even surprised with lunch from the students at St. Mary’s School and a potluck with the City staff. He says all the well-wishes made his day. And here’s a fun fact for you – Mayor Milt was just 37 years old when he was first elected as Manchester’s mayor back in 1974.